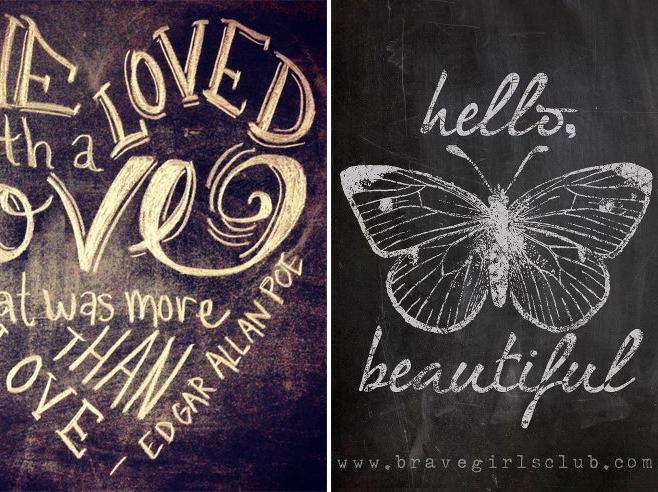 The charm of hand-written words + the nostalgic medium of chalk = beautiful chalk art! 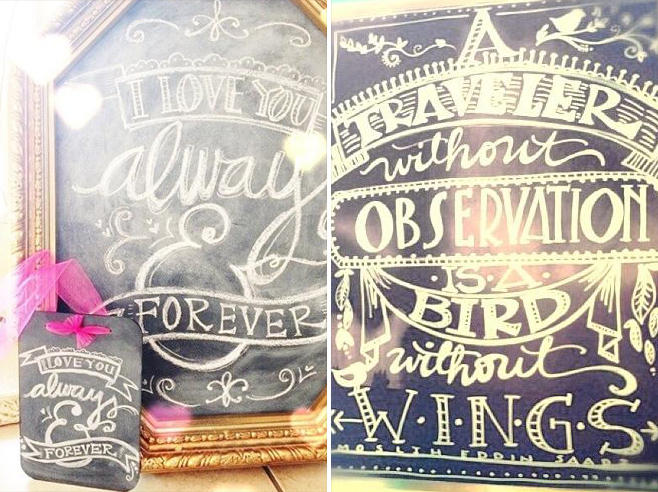 Popping-up everywhere from wedding signage to home decor, this a is fun style to incorporate into your home or next event. 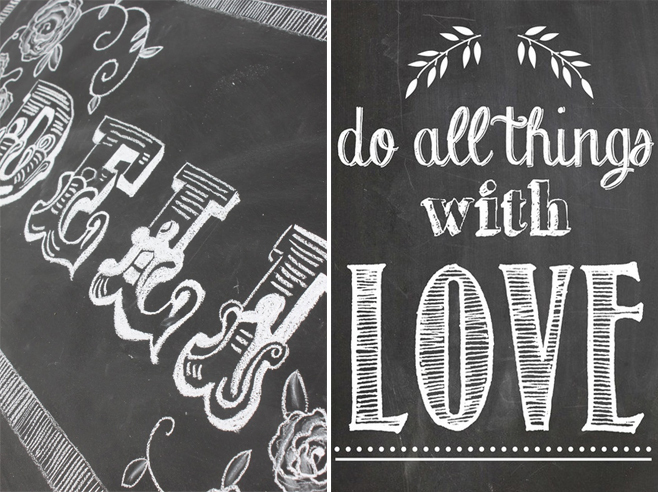 Follow Ivory Bloom's Chalk Art Board on Pinterest. 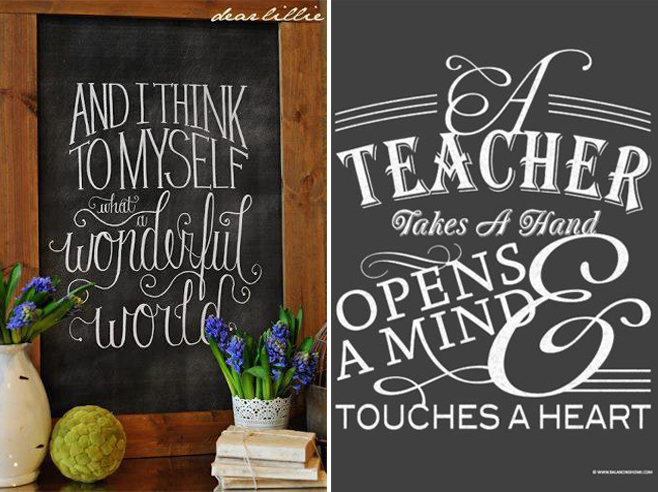 You'll find links to free fonts and chalkboard photoshop backgrounds.